Excellent color, detail, background, and behavior. I spent some time in Marche a year ago and unfortunately was unable to find any of these. 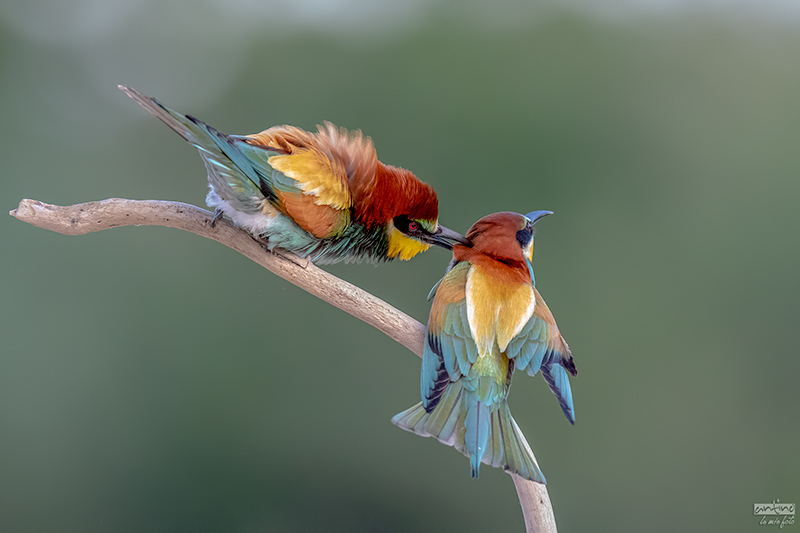 A terrific action and behavior image of these colorful birds, Antino. Nice shot in soft light. I love the colors. Gorgeous shot, and what a wonderful interaction! Great colors and nice interaction.